The Seahawks have agreed to terms with safety Bradley McDougald with the free agent signing period set to begin on Wednesday. 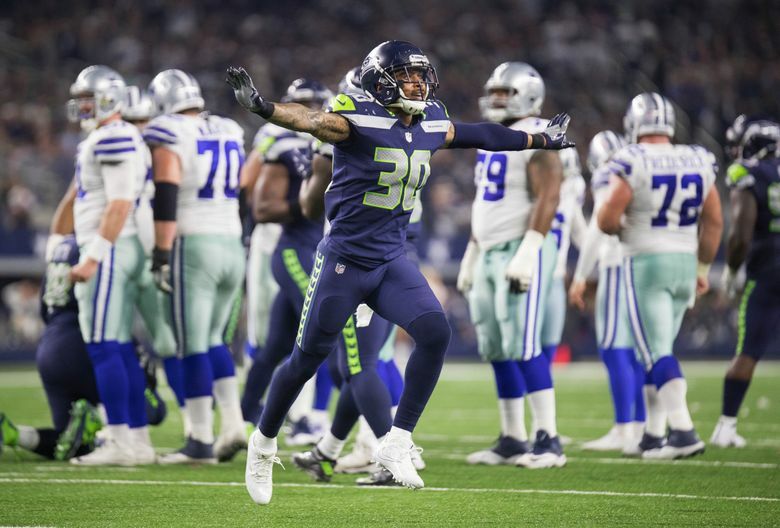 The Seahawks on Monday announced they have re-signed safety Bradley McDougald, keeping one key piece of their increasingly-in-transition secondary in place as free agency nears on Wednesday. The deal is reportedly for three years and worth up to $13.95 million. Because Shead played in only the final two games of last season after spending the rest of the year on Physically Unable to Perform list, the NFL had recently determined that Shead’s 2017 contract could “toll” and he would have to play in 2018 for Seattle on the same deal. That’s due to a clause in the NFL’s Collective Bargaining Agreement that states that players not activated off the Physically Unable to Perform List until after the sixth game of the season in the final year of their contract must have their contracts tolled (Shead was not activated until Dec. 23). But the Seahawks decided not to force Shead to come back under the terms of that deal and released him so he can hit the market. Shead is expected to visit Detroit later this week but he could also re-sign with the Seahawks at any time now that he has been released. McDougald, meanwhile, confirmed the signing with an Instagram message thanking the team Monday afternoon. That he would be re-signed had been widely anticipated as likely after McDougald started nine games for Seattle last season, including the last seven at strong safety in place of the injured Kam Chancellor. With Chancellor’s future remaining cloudy due to a neck/nerve injury, re-signing McDougald was viewed as a priority for the Seahawks and he becomes the first of the 16 players on the team who could become unrestricted free agents this week to re-sign. Players such as McDougald whose contracts ran out in 2017 are officially free to sign with other teams on Wednesday at 1 p.m. Seattle time but can re-sign with their current team at any time. McDougald was signed to a one-year, $1.8 million contract by Seattle last season after having played since 2013 with Tampa Bay. McDougald was fifth on the team in unassisted tackles with 45 and also had four pass defenses. He started games against Washington and Arizona at mid-season at free safety in place of Earl Thomas, then started the rest of the season at strong safety when Chancellor was injured late in the win at Arizona. Thomas’ future is also somewhat uncertain as the team tries to work out a long-term extension with him, and singing McDougald gives Seattle a player it knows can fill in at either spot. But it’s thought the hope here is that McDougald can pair with Thomas as the safeties next season. Seattle also has second-year players Denalo Hill and Tedric Thompson as backups at both safety spots.